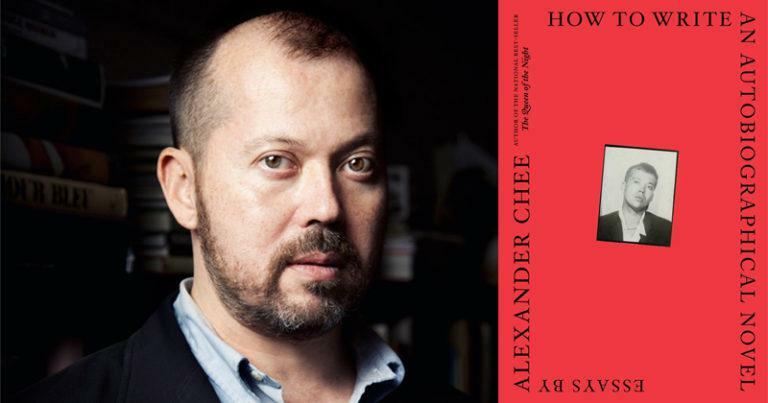 Alexander Chee’s new book, How to Write an Autobiographical Novel, is available now from Houghton Mifflin Harcourt. The Tombs of Atuan, by Ursula K. LeGuin. This novel left such a mark on the inside of me, and when I picked it up recently I realized with a small shock that this mark later turned into my second novel, The Queen of the Night. I am greatly under-read when it comes to Henry James, and have yet to read The Golden Bowl, though I’ll probably get to The Bostonians next now that Brandon Taylor has pointed out my resemblance to Mrs. Farrinder. Also, Thomas Mann’s The Magic Mountain still looms somewhere in the distance. Probably either Never Let Me Go, by Kazuo Ishiguro, or Go Tell It On the Mountain, by James Baldwin, and the reason is that I teach both of them, and so it depends on where one is in the year. In the fall, Ishiguro, and in the spring, Baldwin. The Ishiguro is a sublime novel, as perfect an example of novelistic structure as you can think of at the level of technique. The novel is narrated by a clone, and the shape of her mind, shaped by how she’s been raised by the state that intends to consume her, is present in everything from the narration to the tone to the events to her beliefs to her actions, as she tries to escape her fate. The Baldwin is an example of a novel structured such that the main character, John Grimes, a young gay man in 1930s Harlem, is, unbeknownst to him, the antagonist in his father’s story—and this is why his father is his own unforgiving antagonist. I teach this as a way of teaching how plot and character are inextricable—plot is character, really, it should inscribe something the character doesn’t know about themselves to the reader. It is also a good example of contextualizing a character in the history of the time, as it is also a novel of the Great Migration. Possibly The Great Night, by Chris Adrian. I truly envied him having the idea to recast the characters from A Midsummer Night’s Dream in San Francisco. Tomb of the Unknown Racist, by Blanche McCrary Boyd. It comes out in May and completes a trilogy after 20 years. Boyd is one of my favorite writers, and we have been too long without a book from her.